Cheese rolls play a valuable role part of the classic Filipino bakery lineup, satiating the meryenda hankerings of Filipinos nationwide. Though its history is unclear, its use of a typically-white or brioche-like bread base, cheese filling, and butter and sugar on top points to its likely roots in fellow baked good favorite ensaymada—but in a more straightforward bar format and, as the name implies, with more emphasis on the cheese. You’ll find cheese rolls across the most homey of neighborhood panaderia to the most high end of private bakers and artisanal bakeries (and if you’re up for it, try making it yourself)—but for everyday consumption, most of us will turn to tried-and-tested bakery businesses and chains. How do their cheese rolls compare? With these (rightfully) famed rolls, the cheese and bread practically become one. Perhaps the name that first comes to mind when most people think of “cheese rolls”, Mary Grace offers an especially fine version of the pastry. Their bread is remarkably pillowy-soft and delicate that it practically melts in the mouth sans the need to chew—even without being reheated (but go ahead and have it warmed for an even more featherlight experience.) The cheese (which comes at close to a one-to-one ratio with the bread) errs on the creamy, not-too-salty side, melding with the bread so well it’s hard to draw the line where the bread ends and the cheese starts. Each roll is topped with creamed butter and granulated sugar which provides just enough of a crunch to contrast from the rest of the component’s featherlight nature. All parts come together into a cohesive whole, and though on the relatively small side, it’s rich enough that it commands to be savored slowly and the size proves to be just right. Contis’ version is a minimalist contender. Though oddly flat, this bakeshop-restaurant’s take on cheese rolls come just the right size to make for a not-too-filling afternoon snack. The bread base used is an airier but dryer and slightly-sweet but neutral-tasting bun; it’s stuffed with a log cheese that seems disproportionally small compared to the bread, but which proves to be just the right size with its slightly saltier (and, according to a team member, “mayonnaise-y”) taste. Though you’ll find a few sugar granules that retain their crunch on top, much of it’s dissolved into butter, which comes as a thin layer that’s partly melted. We wish there were more of the topping, but it’s ample enough to sweeten the resulting bite without rendering the entire cheese roll as being too sweet. Overall, Contis’ is one that stands out in its very plainness and just-right character across categories, which makes it a fuss-free, all-around balanced reliable. Also a minimalist cheese roll, but with a more opulent, rich flavor profile. Becky’s version strikes us as being more of a sophisticated stunner, carrying a lightness in texture but abundant richness in flavor. Their bread is akin to a brioche with its golden, gleaming hue that’s airier but with slightly more body than Mary Grace’s, and with what seems to be a high proportion of egg yolks (and/or butter) in the dough that gives it a fatty, full-bodied character. The cheese is just salty enough and is on the waxy-but-creamy side, and comes as a thin but wide sheet that well distributes it such that you’re likely to get cheese in every bite. Like Conti’s, they go the minimalist route for their topping, with just enough granulated sugar for crunch and a thin layer of butter to hold it in place. 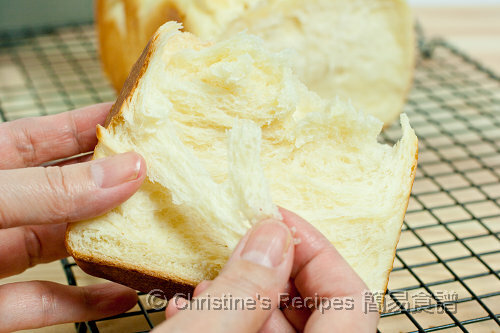 But with the richness of the bread, you won’t need much topping anyway. French Baker’s is a heavyweight champ of a cheese roll. Decidedly heftier, each piece of this bakery chain’s version comes as a macho hunk as big as the author’s hand. The French Baker uses a white bread base (seemingly the same used in their egg rolls) that’s denser and more substantial compared to the others on this list and carries a slightly chemical aftertaste, but stays soft the way commercial white bread tends to be. The cheese used appears to be far too little in amount compared to the bread, as with Conti’s, and feels stiff and dried out, but leans toward a much saltier profile that it stands out amidst its surrounding bread blanket. The biggest strength of French Baker’s version is the thick layer of whipped butter (which tastes strongly of fake vanilla in some, though not all, of the chain’s outlets—but which nevertheless feels like real butter as far as we can tell) and sugar on top; at room temperature it lends a pronounced creaminess and crunch, and when heated it liquefies to a generous pool of sweet melted butter that dribbles down the roll and doubles as an indulgent dip. Have an idea of who might make these rolls? Hit us up in the comments! Must be Mom’s resembles Mary Grace’s in pillowy-softness and fragility, coming just a touch airier with a stronger yeasty aftertaste. The cheese used isn’t as creamy that it harmonizes with the bread as well as it does on the latter; being a touch saltier however, you get a stronger contrast between savory and sweet that a few members of the team better appreciate. Sadly there isn’t much topping for balance, with little more than a thin layer of butter and granules of sugar (both of which tend to stick to the plastic wrapper, too) but for a light roll with a cheese-heavy bite, Must be Mom’s can well fit the bill. For this bakeshop favorite’s cheese rolls, the bread used takes on a cotton-soft quality that isn’t too delicate but has a relatively short but tender crumb, and though on the neutral end of the taste spectrum you can taste a hint of egg yolks or butter to give a hint of richness. Inside you’ll find a generous slice of firm-but-creamy cheese that tastes quite salty that it tends to overpower the bread. You do get a generous amount of topping—a mixture of creamed butter and sugar that’s spread as a thin, pale-yellow layer, with the sugar giving a distinct crunch—but not enough to balance out the saltiness, and the overall bite nonetheless tastes the strongest of cheese. Still, it is this very fromage-focused characteristic that makes it a hit with one of our cheese-crazed team members. Mary Grace’s (rightfully) famed cheese rolls are still the cheese roll to beat, in our book, for their exceptionally delicate cheese roll with creamy cheese and the winning harmony between parts. But our selection spans a variety of characteristics along the cheese roll spectrum worthy in their own respect. For one that’s light but more cheese-focused, try Must be Mom’s; for one also light but with a richer feel, try Becky’s Kitchen. If a hunger-buster is what you crave, the French Baker’s or Blenz’ versions will definitely satisfy. Not into either extreme? Go for Conti’s balanced number, or Purple Oven’s for a roll that really delivers on the cheese. Are you team ensaymada or team cheese roll? Which brand’s is your favorite? Let us know in the comments below.